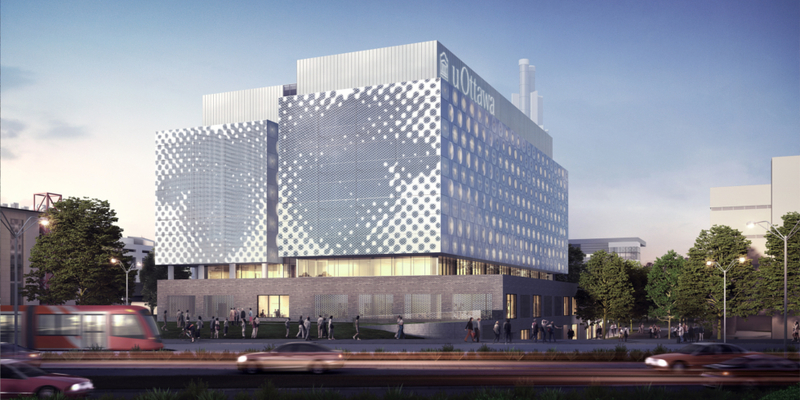 We are proud to provide the facilities and infrastructures services necessary for the University of Ottawa to achieve its academic and research objectives. The map and lists below provide an overview of some of the more visible current projects being undertaken by Facilities as we strive to provide a vibrant environment for the exchange of ideas and knowledge. 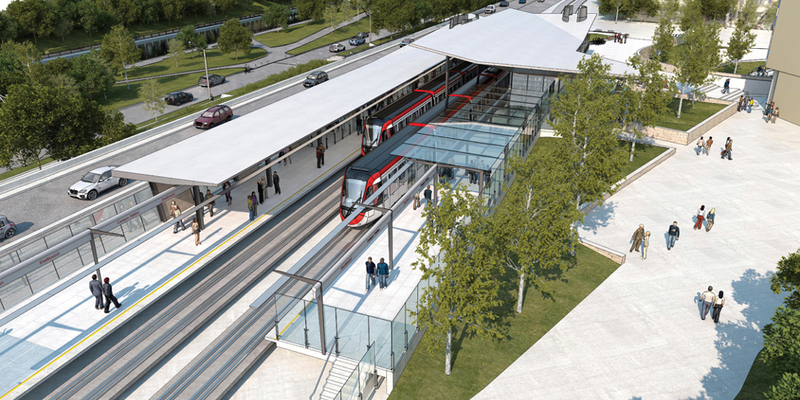 As construction of the LRT may impact activities on campus, we would like to offer the following information, as found on the City of Ottawa's website, and other useful links. To help make the campus more accessible, we’ll be updating several stairlifts, reworking certain sidewalks, redoing the access ramp outside Tabaret’s Laurier entrance, and creating universal washrooms in Hagen, Simard and Marcel Hamelin. As certain generators on campus have reached the end of their recommended services lives, we’ll be replacing them to ensure we always have a steady and reliable supply of power. Expect some excavation work along the “Grande Allée” between Perez and Simard this summer, starting late May, as we tackle leaks affecting the underground parking below. Work will continue in CRX’s unfinished spaces (including the new 400-seat food services area with three new food outlets) with the aim of wrapping everything up for the 2018 fall term. Expect asphalt, concrete, tile, sidewalk, and curb repairs in a few different areas this summer. Some of the repairs will require minor, temporary detours, but in the end they’ll make the campus more accessible and safer to navigate. 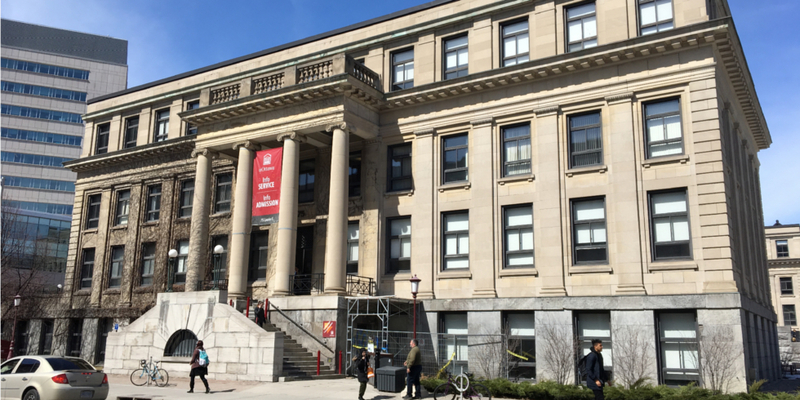 There are several heritage buildings at uOttawa that are over a century old and need careful maintenance; this summer we’ll be working on Tabaret’s portico (Laurier entrance), Hagen’s front doors, 100 Laurier’s façade (Cumberland side), and 190 Laurier’s windows. With most of the campus community away for a few months, it’s the ideal time to double down on general maintenance and repairs in areas that are usually really busy. Expect to see construction around Morisset and the residences as well as temporary closures of the Montpetit pool (May 12-27) and gyms (May 9-30). 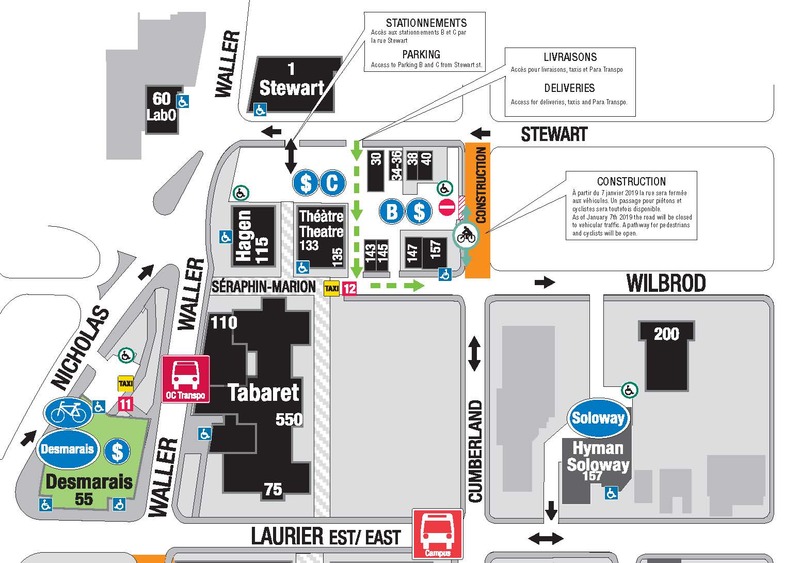 To help the campus “get ready for rail”, we’ll be connecting paths from Colonel By and STEM to uOttawa Station’s multi-use pathway and modifying the exit stairs at the southwest corner of Marion as well. Meanwhile, the City will be working to wrap up construction on the station by the end of fall. Not only can you expect to see new trees, seating, and landscaping in the plaza in front of STEM this summer, we’ll also be planting dozens of new trees and shrubs around the Learning Crossroads (CRX) and on Louis-Pasteur Private. We're installing green roofs above sections of CRX and Lamoureux as well. It may not be glamorous, but roofing projects are necessary to protect the University’s assets – no one wants a leaky roof. This summer we’ll be working on parts of Tabaret, Leblanc, Fauteux, D’Iorio, and SITE. If you’re on the Alta Vista campus, you can expect to see the Roger Guindon entrance stairs replaced this summer; we’re also planning a redesign of RGN’s ground floor student lounge and food services area. It’s “full STEM ahead” this summer as we get what will soon be largest facility on campus ready for the 2018 fall term. You’ll be able to observe new landscaping happening all around the building while we set equipment up inside. Facilities routinely makes changes to our campus infrastructure to reduce our greenhouse gas emissions and energy and water consumption; we’re currently optimizing the heating and cooling systems inside Colonel By, Biosciences, Gendron, and Careg. We’ll also continue swapping out nearly 90,000 LED lamps on campus, switching to newer, more energy-efficient models. Several projects will begin at Tabaret this summer. 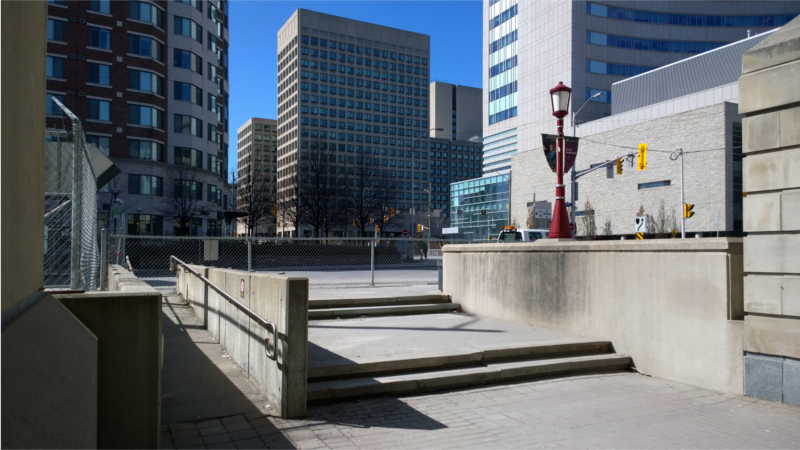 The Laurier avenue entrance will be closed as of May 28th while parts of the portico are maintained and the nearby accessible ramp is replaced. The roof of the central wing will also be replaced and some minor exploratory work will be performed to guide future maintenance. Please note that Cumberland street will be closed to vehicular traffic between Wilbrod and Stewart street for approximately 4-5 months to undertake utility relocations within the City's right-of-way for the Combined sewage storage tunnel project. See maps for detours. 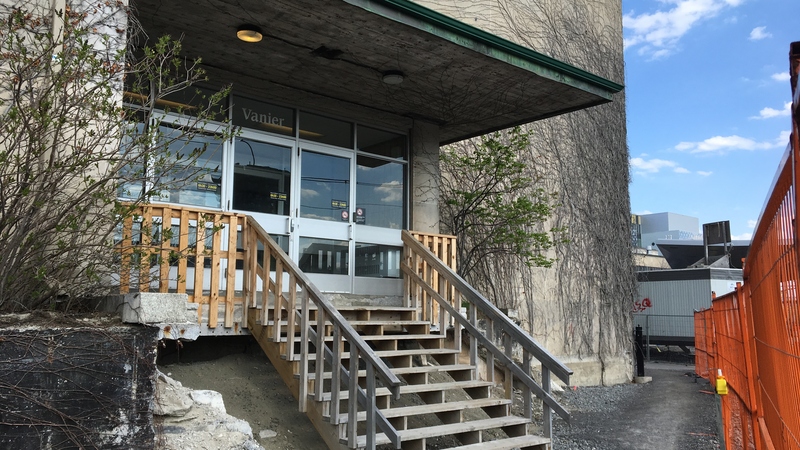 Please be advised that Vanier Hall’s south-west corner exit will close mid-May for construction: the exterior wooden stairs, temporarily erected to facilitate construction of the LRT’s track, will be replaced over the next two months. Please note that all other exits will remain open during this period. The South-facing accessible Tabaret entrance is closed until further notice due to severe water damage. Please use the accessible entrance on Waller Street. The outside accessible ramp on the West side of Simard, facing the Transitway will be closed until May 2018 for the duration of the Light Rail construction. Please use the entrance on Laurier between Arts Building and 100 Laurier.